Foreigners often complain that Chinese technology firms lack innovation, but a new initiative where non-Chinese technology companies have ganged up to fight China's Indigenous Innovation Product Accreditation Program shows that foreign companies appear to actually want to keep China away from ever innovating. In a circular that was issued last month, companies were asked to submit their products for accreditation before being included in a catalogue listing items that have Chinese characteristics, including domestic innovation. 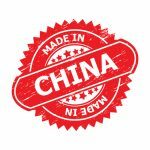 The catalogue would be used for preferential procurement by Chinese agencies and could encourage more Chinese companies to innovate and create products made in China. 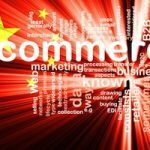 But fearing that their hopes of hegemonic sales of technology to China could be greatly curtailed, foreign businesses and trade organizations have clamored to lobby the Chinese government to halt these actions that could see more Chinese government agencies and companies buying domestic Chinese products, rather than goods made by foreign firms. A letter outlining the concerns of foreign businesses was signed and delivered to the Chinese government yesterday by over a dozen business leaders, including Michael Barbalas, president of the American Chamber of Commerce in China; Perrin Beatty, president of the Canadian Chamber of Commerce; and Tsutomu Handa, president of the Japan Electronics and Information Technology Industries Association. The letter was addressed to Wan Gang, head of China's Ministry of Science and Technology; Xie Xuren, head of the Ministry of Finance; and Zhang Ping, chairman of the National Development and Reform Commission. The letter pleads for the "Chinese government not to proceed with the requirements of the joint circular" and stresses that the group of foreign entities actually wants to encourage innovation. None of the three ministries have publicly replied to the joint letter. Choosing domestic products under procurement is a right. Procurement mean spending using Chinese Tax Payers Money. THIS IS Not about blocking foreign products into chinese market but rather the choice of procurement by the chinese government using chinese tax payer money. Foreign firms can sell to average chinese people all they want but stop fantasize and mess around with Chinese procurement program using Chinese tax payer moneys.